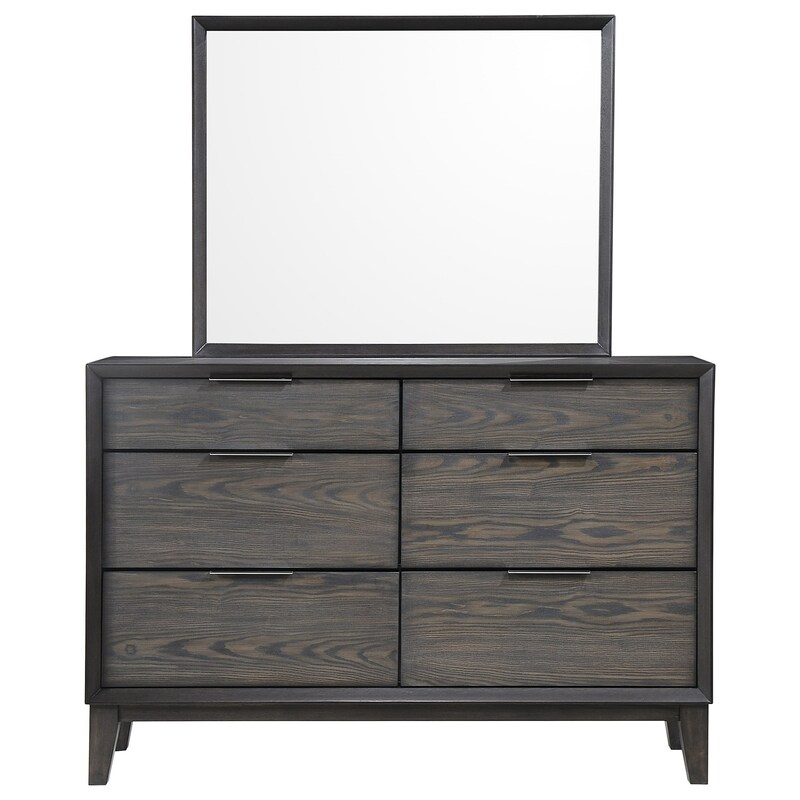 Contemporary in design, this six-drawer dresser and mirror set features tapered legs and an ash veneer finish that showcases the natural look of the wood grain. The top two dresser drawers are perfect for storing smaller items, while the larger, lower four drawers can hold blankets and other bulkier items. The Florian Contemporary Dresser and Mirror Set by Crown Mark at Household Furniture in the El Paso & Horizon City, TX area. Product availability may vary. Contact us for the most current availability on this product. Clean-lined profiles and tapered legs can be seen throughout this contemporary bedroom collection. The upholstered bed offers an inviting warmth, and the perfect centerpiece for your personal sanctuary. The Florian collection is a great option if you are looking for furniture in the El Paso & Horizon City, TX area. Browse other items in the Florian collection from Household Furniture in the El Paso & Horizon City, TX area.